I wanted to thank you for setting up such an amazing trip for us! We had a blast! All the tours were on time, very well-organized, had amazing tour guides, and the scenery was beautiful. 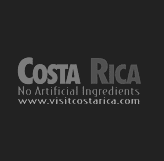 Our hotels were perfectly located, very clean and comfortable, and had views of the volcano, beach and rainforest that couldn’t be better. 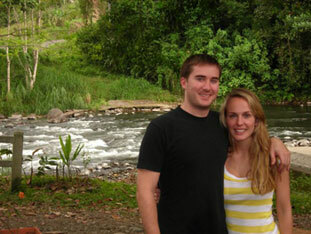 You did an amazing job at customizing our trip to exactly what we had hoped for while visiting Costa Rica. 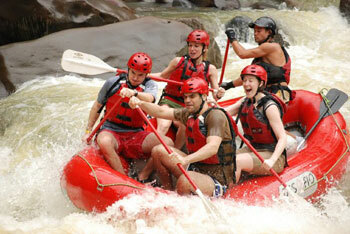 Our most adventurous tour was the whitewater rafting, as you can see in our pictures. We loved it! I have told so many people about our trip and many of them plan to go in the future. I have provided them with your contact information and recommend you very highly. 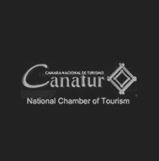 We posted our pictures on Facebook and continue to get more people interested in visiting your amazing country. Pura Vida! !